Guangzhou Event Tent Co., Ltd. has been manufacturing the top quality outdoor tents and providing excellent service to our customers since 2010. 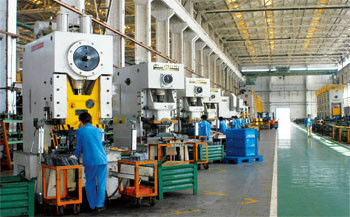 Our production base locates in Guangzhou of China, and covers an area of 4,000 square meters. We have a stock of 280,000 square meters of tents for selling all the year round. Our vision is to be the premier tent in the industry by offering exceptional quality, trusted advisory and unparalleled customer service at competitive pricing for our customers that will create for them safe shelter and wonderful outdoor events and a lifetime of great memories. With years of experience in manufacturing and foreign trade of our tents, we have developed advanced manufacturing technology and managerial experiences. Every product we make is strictly conducted in accordance with ISO 9001:2008 quality control standards to ensure its best value. The main frameworks are manufacturer by hard pressed extruded aluminum alloy, the covers and sidewalls are made of flame-retardant double PVC-coated polyester textile. We have a wide range of products such as dome tent, pagoda tent, stretch tent, exhibition tent, warehouse tent, wedding tent, event tent, clear transparent tent, double-decker tent, polygonal tent, etc. If the item you require is not on our list, customized products are available on request. We keep to a customer-oriented operation philosophy and we honor the commitment of timely delivery for every order. As the outstanding company to offer outdoor tents, Event Tent strives to create the most user friendly and informative sites possible. Event Tent embraces the idea of new technology and better methodologies to improve design, manufacturing, warehousing, distribution, customer service, training, and ecommerce experience. The Event Tent team has searched the world for quality materials, state of the art equipment, and improved processes so that we can bring you the best value. The key ingredient to our success and longevity is ultimately you, our customer. Please do not hesitate to contact us and give us your input and thoughts, so we can continue to improve our products and services for you. 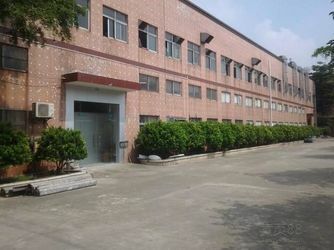 You can e-mail, call or visit our showroom and manufacturing facility here in Guangzhou, China. • The idea of starting a business supplying innovative structures to creative people was imagined and after much research the company was born. • Summer 2014 saw the delivery of the first “Event Tents”, a yurt and a mini party tent. A homemade website was created, flyers were printed, and a lot of legwork generated around 50 bookings in that year. We were proud of every event but it very quickly became clear that our clients wanted bigger structures. The search was on for something great but much larger. We looked everywhere and found the yurt that we still use today in the far south of Australia and placed our very first order. • Bigger tents mean bigger events and bigger events equal better brand awareness and customer communication. We concentrated on our brand and product offering and the response was great. The bookings for the big tents really started to come in and we proudly finished the year with 120 tents in stock and we were able to deliver multiple events at the same time. • We learnt from the previous busy weekends that we needed to concentrate on our operational approach to achieve the perfect experience for every Stunning client. We added a few more smaller tents to our range but concentrated this year on having a fully booked season. • Now we’ll continue to innovate and push forwards the boundaries of what is possible, whilst not losing focus on our desire to deliver a perfect service to our clients at every event. We proudly feel our high level of repeat clients every year is a great testimony to our reputation. • We are a professional outdoor tent production company. • We manufacture and finish all our core products and supply all services ourselves. • We place a high value on growth through innovation. • We are one of the leading companies in our sector. • Our company is managed as a value-based organization. • All our actions are focused on the ever-present demand for quality. 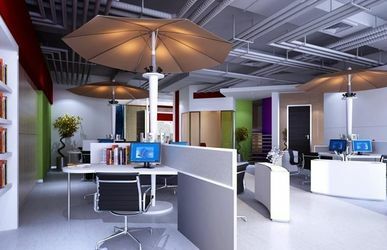 • We are always result-oriented and cost-conscious. • We are constantly upgrading our procedures. • Our market is the world – and we aim to fully exploit existing market potential. • We wish to develop and strengthen the position of the market leader – we consistently communicate this to all staff working in sales and distribution. • We are improving our customer relations on a daily basis. • We are constantly growing our brands. • Our distributors are growing because of their believe in us. • In quality terms, our products and services are the best and most innovative. • We are constantly developing our products and services. • We are constantly investing in new products and service. • Whenever possible, we manufacture all our products and supply all services ourselves. • We organize our processes so that they run swiftly, efficiently and economically. • We put great emphasis on providing information and communicating with our employees, customers and business partners. A healthy corporate culture plays a large part in the success and stability of any business. It guides staff towards shared objectives and strategies, it is the practical expression of a company‘s values, it helps staff to deal with crises and also to reinforce the company‘s position in the market-place. • Reliability - our word is our bond. • We maintain fair and honest relations with our staff and business partners. • We treat each other with respect and friendship. • We adopt a constructive an honest relationship with each other. • Mutual appreciation is a precondition for any collaboration. • Rapid and consistent action is a part of the way we work. • We expect all staff to be keen to make decisions within their field of expertise. • By playing a part in the thinking and planning process and sharing responsibility, we all make a personal contribution to the company’s success. • Cordial interpersonal relations, teamwork and a good business atmosphere are important to us. Together we are strong. • Everyone plays a part in creating the right atmosphere through his or her enthusiasm. • We are working towards a shared vision. • We demand effort and a target-oriented approach from each individual. • We put a high value on fair rewards. • We believe that openness to new ideas and a willingness to change are the secrets of success in tomorrow’s world. • We encourage personal and professional growth and are constantly evolving.